Dorothy Donovan, 98, passed away March 28, 2019. Born in Akron, she had lived in Tallmadge since 1954. Dorothy had worked in the cafeteria at Tallmadge Schools and was a member of Our Lady of Victory Church. She loved spending time with family at Mari-Dor Beach on Lake Erie. 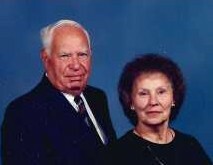 She was preceded in death by her husband, Jim; sister, Marjorie (Richard) Ferrell; brothers, Ralph (Garnet), Del (Dorothy), Robert, Roger (Pauline); daughter in law, Barbara. Dorothy is survived by her sons, Jim Donovan of Atwater, Tim (Judy) Donovan of Uniontown, Tom (Kim) Donovan of Barberton, Pat (Deon) Donovan of Satellite Beach, Florida, and John (Amy) Donovan of Melbourne Beach, Florida; ten grandchildren; 23 great grandchildren; and many nieces and nephews. Visitation will be 4;00 until 7:00 p.m. Thursday, April 4, 2019 at the Donovan Funeral Home, 17 Southwest Ave. (On the Historic Tallmadge Circle). Mass of Christian Burial will be 10:00 a.m. Friday, April 5, 2019 at Our Lady of Victory Church, 73 North Ave., Tallmadge with Rev. Michael Matusz officiating.